Update: A Nintendo spokesperson has confirmed to Eurogamer.net that Nintendo will show off a Super Mario Bros. game for Wii U at E3. According to Spanish newspaper El Mundo, we'll see the first Super Mario game for Wii U at E3 this year. A translation of the original story sees Shigeru Miyamoto telling the newspaper he "anticipates" Nintendo will reveal its mascot's first HD outing on 5th June. And that's it: the talismanic creator didn't say any more. While many of us expected Nintendo to show off Mario for Wii U at E3, this confirmation from Miyamoto only cements 5th June as the most exciting date of the gaming calendar. Or maybe that's just us. Last year we saw New Super Mario Bros. Mii demonstrated alongside the console, but Nintendo was keen to stress it was just a demonstration of what's possible, and didn't confirm it was a game in active development. 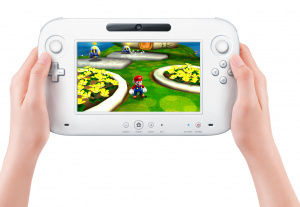 Will this Wii U Mario be New Super Mario Bros. Mii or something new? We don't know. Is it too soon to say "come to Nintendo Life on 5th June for all your E3 news?" Nah, probably not. Mario Land, then Mario World, then Mario Galaxy...Super Mario Universe? i just wish they can use a new gen engine like uncharted or battlefield's frostbyte and apply the movement controls for their characters. i wanna climb on a complex terrain with mario or zelda. i wanna be able to break the terrain to when i stomp ennemies from high level. imagine a mrio where environement is more interactive, destructible.throw a rock on a wall and watch it break a part of the mountain. break your way thru a cave. i hope WiiU will be able to make this. Has there ever been a multi-player 3D (as in open world, not screen popping) Mario game? Between Disney Universe, R&C:A4O and Skylanders we're ready. There is no way it is a 2D Mario game, they're already doing one for the 3DS. Let's do something new! ...not saying the old isn't great, but I really want to remember this one! How about a 3D (64/Galaxy) on the TV screen and when you go into pipes and hidden areas they turn into old-school 2D bits on the controller screen. This year's E3 is going to blow Nintendo's fan mind! Can't wait for E3. I hope they give us a release for the new pokemon game and some of the 3ds games that we don't have release dates for like paper Mario, Luigi's Mansion, Animal Crossing and announce some more games for the 3ds too. Mario Teaches Typing 2 please! What I really want to see is a new side scrolling Mario that breaks away from the NSMB mold. If you look at Super Mario bros. 1 through World, each of them was unique and I'd really like to see a new 2D Mario that kind of picks up where those games had left off. Not that I didn't like NSMB (the Wii version anyway), but those games where really more of a homage to the original game, than true sequels. as bad as many would like a Galaxy 3, I personally want something brand new that is more like Super Mario 64 in terms of open world free to explore type of level design. I wouldn't mind a Galaxy 3 but I would rather see something brand new for the plumbers first HD outting. If they're planning for it to be something impressive to kick off the Wii U at E3, I would certainly hope that it's not New Super Mario Bros. Mii. That certainly wouldn't be too exciting. A new 3D Mario with the same quality as the Galaxy games would be a great way to kick off the Wii U though. Knew it. I'm betting it's Super Mario Galaxy 3, too. I just want to see an explorable overworld again, a la Super Mario 64 or Super Mario Sunshine. Since they showed New Super Mario Bros. Mii last E3 I'm inclined to believe that this Mario game is just a 2D one. They might be doing a 2D Mario for both WiiU & 3DS just like they are doing with the next Smash Bros. game. To allow for some kind of connectivity between the two. I doubt it'll be a full blown 3D title for some reason. I'd love to see a new 3D Mario though. But NOT another Galaxy game. 2 was more than enough. Super Mario Galaxy is one of the most gorgeous looking games I've ever layed my eyes on, i can't imagine how insane Super Mario Wii U will look and I'm sure the innovations will blaze through the Pikmin Roof! Anyways! I need to play copies of Super Mario 3D Land and Galaxy 2 already, enough is enough. As much as I would like to see a HD Mario 64 / Mario Sunshine game on the WiiU, I'm almost certain they are going to do a 3D sidescroller like 3D Land. I hope Nintendo proves me wrong and unveils something amazing. My SNES came with 4 mario games on one cart! Personally, I'd rather play a Mario game. The well is pretty dry for both NSMB and Galaxy so I'm hoping for something different. If they absolutely have to rehash something, how about Mario Paint? I bet the tablet would open up some interesting ideas. As long as I can use my wavebird, and not the stupid tablet I'll be happy. I will be surprised and disappointed if Nintendo "plays it safe" with another Mario Galaxy or New Super Mario Bros. Nintendo has a brand new piece of hardware; show it off! Don't regurgitate the similar piece of Mario mushroom pie. Actually never-mind, for Nintnedo's financials they should just pump out another slightly refined Mario. If they won't give us Galaxy 3, then at least keep the concept of gravity. Yes, and MAKE IT A LAUNCH TITLE! If its a 2d style Mario, no more "New Super Mario" in the title. Sure it's going to be a best seller, but the generic 2.5D art style grew old for me fast. It was cool for the DS game, but not if you will make it its own series. I'd love it to be hand drawn 2D models similar to A boy and his blob or Wario shake it, and have its own unique hook(ie gameplay mechanics, powerups, etc). Also, one of the things that was awesome about the NSMB games was the multiplayer aspect, it seems mandatory now. If its a 3D style game, I'd like to see it to be more of 64 and Sunshine where you have a more free roaming playfield. A central hub that branches out to different levels (Each of which has a number of different objectives which ends with a star). 3Dland was great, but I preferred something more open ended. Off course, this is just what I wish to see. I expect NSMB Wii to be fleshed out for the WiiU's launch line up. Doesn't make sense to have Mario at launch. Also nintendo just confrimed to eurogamer that its true. .beans the floodgates are getting closer to bursting. @BudrSbastig You're not going to be happy: GameCube accessories aren't supported by Wii U. The exact, official wording is "a new Super Mario Bros. game." That, along with the supermario4.com registration, strongly indicates a new 2D game. I wonder if this and the 3DS version will be the same and interact in the same way as the next SSB? I really hope they mean a new Super Mario Bros. game and not a New Super Mario Bros. game. I have nothing against another 2D Mario game, but if that's what it is I really hope it's pretty different to the previous two because more of the same will be getting a bit old now. Best case scenario is that it's a 3D Mario game, either another Galaxy, or something more like 64 would be even better for a nice change. Or even something more like 3D Land if they make it more challenging and longer. In the end though, I'm 90% sure it'll be another 2D Mario game, just fingers crossed it'll offer something new that'll take us by surprise and blow us away at E3. Add more details about Pikmin 3 as well as a ton of information about all their other little secrets that they're not telling us and it's sure to be an exciting show. I don't care what it is, I trust their expertise with making a fun mario game (though I do prefer the 3d stuff and I agree with @Samholy it really needs to be less sparse and more interactive than they have been). Honestly I just want a Nintendo HD system to be out, like, yesterday. I'm getting sick of having this stone age thing that doesn't utilize any of the other fancy media stuff here. My setup is dying for an Xbox or something and I can't hold out much longer. Just drop it here, Nintendo, that old Wii is growing a beard in my setup. It's called Super Mario Adventure. It's a new sandbox game with full voice acting. You get to take on little side quests and drive a mario kart to get around the Mushroom Kingdom. Also your choices change the outcome of the game, and there's a Luma Garden. You can breed Lumas now. Looking forward to seeing a fresh idea for the Mario series, I'll be very disappointed if it's simply derivative of Galaxy or NSMB. Still, should be good! I hope it ushers in a new area, a new part of the Mario world (ie. How Sunshine brought in Isle DelFino). OR!!! A return to Dinosaur Land. I hope it's out at launch (preferably with the Wii U). A Nintendo console launch just doesn't feel right to me without Mario. It didn't hurt the Wii being Mario-less at launch, but I wonder if the GameCube might've been more successful had it launched with Super Mario Sunshine (nothing against Luigi and his mansion ). Fingers crossed for this and/or the next 3DS Mario being a traditional side scroller! It's about time for a fresh idea for Super Mario. I don't want another New Super Mario Bros game. I'd rather see a brand new entry in the 3d 'adventure' super mario games instead. I don't want a Galaxy 3 either. Galaxy 1 and 2 are plenty in that type of gameplay. I want a game with a large overworld worth exploration that carries secrets, stars, and you have to figure out how to gain access to levels, the way you did in SM64 and Sunshine, as opposed to the bland, very linear, not at all exciting design of the Space ship from Galaxy 1 just used as a useless hubworld, where they got rid of it basically altogether with Galaxy 2 where essentially you just pick your level on a map. I want to see open worlds again. I remember having so much fun simply exploring Peach's castle and Delfino isle. I hope Mario Wii U is new, exciting, and huge. NSMB Mii wouldn't cut it for me. It would end up being too similar to the other two entries in that series, and wouldn't make the best use of the HD graphics. It wouldn't cause me to say, "I need this system the day it launches". A new 3d Super Mario would, though. I already thought that Nintendo were releasing too many main series Mario platformers as we've had one each year for 3 years now so I hope that the 3DS 2D Mario platformer comes out next year rather than this year as this is likely to be a launch game. After SM3DL, I'm worried that releasing so many main series Mario games so frequently is causing nintendo to find it hard to think of original ideas for the series. I hope that this Wii U main series Mario games is a creative and memorable entry in the main series and I sincerely hope that its not New super Mario bros. Mii or Super Mario galaxy 3. I don't want NSMBW with added Miis or yet another Super Mario galaxy game as both would be too unoriginal and if it is another 2D game I would rather have the 3rd and 4th playable characters being Wario and Waluigi or even the two toads again and as much as I love SMG and its sequel (they're two of my favourite games ever) we don't need a third one. BTW, this should be in the Wii U section, not the Wii section of the site. @3Dangerous3Dash Why do all you people want a Super Mario Galaxy 3. 2 is already enough. It's time for mario to leave outer space. Not that I want them to get rid of the gravity mechanics. It's just I'd rather see new ones then the same ones, that have been used for SMG1&2. Why not have mario go through different dimensions. No more outer space PLEASE nintendo. I have a feeling that they wont make anymore galaxy games. Its a new console soo make new ideas!!! I said, just one more. One more is all I'm asking for. Plus, with a platform like the Wii U, I'm sure there will be 3 Mario games for that console alone. SMG and SMG2 are GREAT Mario games. I just want one more. Then yo can make somethng else, I don't care. Maybe one where instead of exploring space, explore the Mushroom Kingdom, somewhat like SMG, but it's in the Mushroom Kingdom. Also it would be new because it would be 3D, so sorta like a SMB64 except without the paintings and you are exploring the Kingdom, instead of paintings. There can still be worlds, etc. Nintendo, I know some people don't want a SMG3, but plz, just ONE MORE. If you have to, ONLY one more. All I'm asking for is one more. Then Mario's space adventures can be done, and you can make a game like that that I mentioned above. Seriously, think about it. Wouldn't it be amazing to see Mario, in space, with a new grand theme, in HD, with a new touchscreen remote. Wouldn't that be AWESOME? Forget Galaxy 3 and especially NSMBWii U......Take Mario into the Dream world! Super Mario Bros 2's spiritual successor is a C..C..C..Callin! i'm not in the mood for another side scrolling 2d mario with 3d polygon models, please no. anything fully 3d will be great in HD, or a proper 2D mario game could kick too, tho that's unlikely. basically mario 64 but with some new mechanics and in HD. doesn't need to be on a tropical island or in space, different themed levels and a nice overworld would be all good. No more Galaxy games. I really enjoyed them, but if you're going to keep Mario going as an annual series (like the last couple of years), you need to mix things up a bit so that they don't feel repetitive. I'd opt for Super Mario Universe or Super Mario Dimension. You guys are killing me. Super Mario Universe? Guess what i sounds like it would be the exact same as SMG. Nintendo needs to get original with Mario again. Super Paper Mario is one of my favorite games to have Mario as a main character. If Nintendo made it so that Mario had to work in 2 areas it might could be fun, OR that awesome mariO style concept. Super Mario Sunshine 2. If Nintendo EVER revealed this, it would be the biggest surprise since Luigi's Mansion 2!!!! "A Nintendo spokesperson has confirmed to Eurogamer.net that Nintendo will show off a Super Mario Bros. game for Wii U at E3"
There! Hopes crushed! I mean, the game they will show is New super Mario bros Wii u. While we all know this game will be released someday, I am personally much more interested in a new 3D free-roaming Mario. One that is just as original as Mario galaxy was. Hopefully they not only show this Mario bros game, but also a innovative 3D one!! It has been a very, VERY long time since we've seen Mouser, Fryguy, Triclyde, and especially WART! When are we gonna see these guys again? Birdo and Shy Guy are the only Super Mario Bros. 2 (or SMB USA in Japan) characters to get any love from Nintendo in the decades since! It'd be a nice surprise to see them again sometime, maybe in the upcoming Wii U or 3DS Marios. I'd like to have seen Wart as a driver in Mario Kart 7. Oh well, maybe Mario Kart 8 (or playable in Super Smash Bros. 4)! I hope its something completely new. If they do decide to go for a sequel, I just want a Super Mario Galaxy 3, just so it can be in HD, either that or release 1 and 2 in an HD remake sometime in the future. I really hope its NOT New Super Mario Bros. Mii, I'm done with that brand, it definitely wouldn't give anyone a wow factor for a new system. @themariobloggie, Super Mario Sunshine 2 sounds like a great idea! I'm fine with a good sequel to either Galaxy or Sunshine if they can change it up a lot, but the best bet for Nintendo is to do something new and creative. Something new would be nice. Something that Mario has not done before. Not saying give him a gun or nothing like that. SUPER MARIO GALAXY 3 would be AWESOME! XD Almost everybody wants it ! Luigi's Mansion 2 would be cool on the WiiU and of course, i CAN'T WAIT FOR SUPER SMASH BROS. ON WiiU AND 3DS! I hope it's fresh, I hope it's a little risky, but most importantly, I hope it's Mario. Personally, I can't wait for the announcement! Just so you all know, I was the first person to bring up the "Super Mario Universe" idea. When I did, everyone mocked me and thought it was stupid; now it's all believable. So... when they reveal "Super Mario Universe," I'm hoping for some respect. Well, nothing outside of how to make a gazillion billion dollars. nice idea, the dreamworld thing. I could really dig that more than anything else here. Great opportunity to utilize the HD system and controller mechanics too. LIke using the tablet for all kinds of 'dreamworld' vision stuff. I doubt it will happen but that would be more fresh than any sequel to anything out now. mouser is my all time favorite SMB baddie, and I'd absolutely love to see him again tossing bombs and rocking those awesome 80's shades.lol Honestly though, it would be completely fresh in comparison to Nintendo constantly dipping into 1,3,World and 64 for inspiration....I'd also love to see GoodFeel take on a SMB Sidescroller. They'd probably be even better taking on a SMB2 sequal. Or why not do something very unique and make everything out of clay? It would be the next 'Epic Yarn'. Am I the only one who would like to see something like super mario bros 2 I wouldn't mind a mario game that's like that one. James (I don't understand how that @ thingy works), couldn't you use the classic controllers to play on the Wii U? If so, why would you need to plug in Gamecube controllers? It's Mario. Seriously. Whatever happens, it's going to be fun. I'd much rather have a sidescroller than a 3D game. I've never really been into 3D platformers. I completed Galaxy 1, and don't get me wrong, I really enjoyed it, but I still didn't bother getting Galaxy 2. I thought Sunshine was pretty awful and I never bought SM64. It's just not a genre I'm into, I prefer my 2D platformers. @shake_zula have you played rayman origins ? one of the best 2d plattformers. I've just finished it on vita, but will be getting it on 3ds in a few weeks. I can't wait I know their gonna knock it outta of the park esspecally if they really take advantage of the new technology which I already know they will. The only thing I would ask is CO-OP/ONLINE CO-OP but it's not a necessity. Although Playing through New Super Mario Bros Wii with friends was fun I would love to see that coopertive play done in a 3D Mario game same with Zealda! Figuring out/solving puzzles with friends plus fighting huge hordes off enemies and bosses together would be awesome in Zealda!! Just throwing it out there Nintendo. Yay! I can't wait for Electronic Entertainment Expo! It's my favorite "geek show" (in a good way, geeks, like me, are awesome, especially if they're Nintendo fans!) of the year! This year, I'm going to watch Sony, Microsoft, and Nintendo at E3 online! I can't wait for June 5th! It's on every calendar in the house (even the digital ones!)! @BudrSbastig Yeah man, I loved Rayman Origins 100%'d that and Kirby's Epic Yarn over Christmas. Still haven't played DKCR though! @Jamouse Yeah, I kinda feel the same way as you. But, no use fighting it now. @Eureka I think there'll be a legend of Zelda going to this system. Although, it may just be considered Wii. 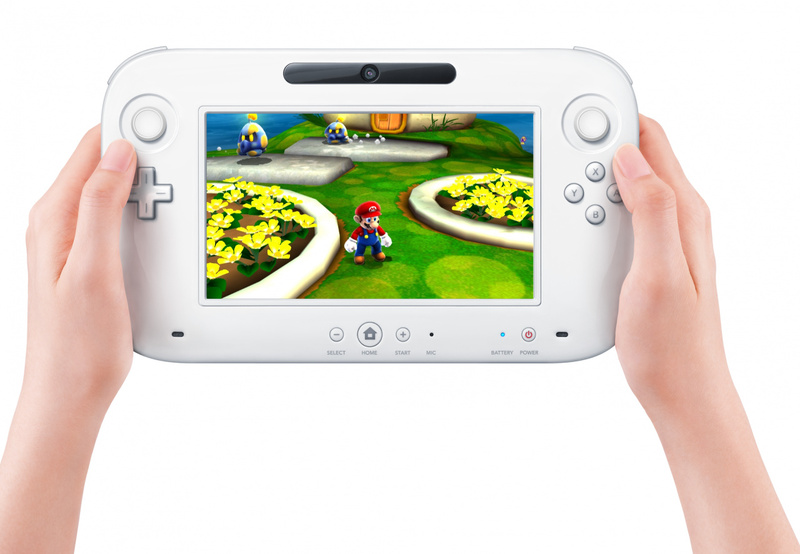 I don't see so much of a difference looking at Wii U and Wii.